Hill series for families continues with THEORY OF MIND by Ken LaZebnik. Bill, a teenager who happens to live on the autism spectrum. community venues throughout the Tristate from Jan. 23 through Feb. 22.
needed to achieve a rewarding relationship. 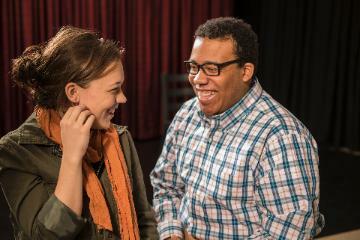 In a special collaboration for THEORY OF MIND, the Playhouse is partnering with the Autism Society of Greater Cincinnati. sites for tickets and prices. Contact information is available on the Playhouse website at www.cincyplay.com.